Amy Bowman-McElhone is the new director and chief curator of the Pensacola Museum of Art at the University of West Florida. A native of Pittsburgh, Bowman-McElhone earned a bachelor’s degree in art history at Penn State University and a master’s degree in art history from West Virginia University. She is currently working on a Ph.D. in art history at Florida State University. Her dissertation is on the contemporary artist Mike Kelley. Bowman-McElhone was director and curator of The Art Gallery at UWF from 2009-12. Her prior experience also includes positions with the Art Museum at West Virginia University in Morgantown, West Virginia, Sweetwater Center for the Arts in Pittsburgh, and the Columbus Museum of Art in Columbus, Ohio. Currently a teaching fellow and doctoral candidate in art history at FSU, Bowman-McElhone also teaches art history courses for the UWF art department. Her research focuses on modern and contemporary art, curatorial practices in Latin America, art in the public realm, and curatorial practice and theory. Cultivating and captivating audiences with a range of entertainment options. Experience musical performances from acts from across the country and local to the Gulf Coast, movies, dinner events, and so much more in Milton. The Imogene Theatre is an intimate, premier music venue built in 1912 and fully restored to its original charm, hosting live entertainment only minutes from Pensacola. Upcoming events at The Imogene Theatre. “At the age of 15, David asked the Universe for the answers to all questions. His thoughts were replaced by “right” thoughts”, which resulted in a resolution of dualities, or of balancing them. in order not to be drawn in by the Hegelian Dialectic. In 1981,the RA material was channelled by a scientific team. The philosophy and way of the Universe, mirrored the information David received in 1971. The book is about service to others,as service to self, in a spiritual journey through the dimensions of the universe, as monism, a philosophical view shared by Albert Einstein, wherein the Creator is in all things, as All is One. The philosophy eliminates strife between the man made divisions between all humans regardless of race color creed or religion, by using empathy, and of being of service to others. This book needs to skyrocket, in order to heal the planet and avert nuclear holocaust, created by the blind acceptance of Abramic religions. What are the odds that in an 8 dimension Universe, infinitely expanding and growing, that the Earth would be the center? The Northwest Florida Area Agency on Aging, Inc. is a private non-profit corporation funded by the Federal Older Americans Act and State General Revenue through the Department of Elder Affairs (DOEA), serving senior residents 60 years old and older of Escambia, Santa Rosa, Walton and Okaloosa Counties. The Northwest Florida Area Agency on Aging, Inc., serves as the designated Aging and Disability Resource Center for our four county planning and service area (PSA 1). The Northwest Florida Area Agency on Aging, Inc., Aging and Disability Resource Center is not a direct provider of health or social services but rather the administrative agency for our area. The Agency collaborates with community-based service providers in the planning, coordination, development and evaluation of programs and services currently available for those residents who are 60 years old and older. The Aging and Disability Resource Center provides information and referral services to the aging population and well as persons with developmental disabilities. All elders, persons with developmental disabilities and their families and community service agencies have access to the Information and Referral network. The Information and Referral Elder Helpline staff initially receives the all Aging and Disability Resource Center calls. Information requests may require a response as simple as a phone number or may involve research by the Information and Referral Specialist to provide the needed information. When a referral is needed, the Specialist will forward the consumer information and service request to the appropriate health or social service agency. The Specialist will call the consumer back within 14 days to see if the information/referral provided met the individual’s needs. If with the original Information and Referral call it appears that a consumer might benefit from services provided through the Florida Department of Elder Affairs aging network, the information is forwarded to the Intake Department of the Aging and Disability Resource Center. The consumer will be contacted and a telephone screening will be performed. The responses will be entered into a statewide computerized database and a “priority score” will be calculated for the consumer. The higher the priority score the more likely a client is to receive services from one of the aging network funded programs. When funding becomes available the client with the highest priority score becomes eligible to receive services. There may be times when a waiting list for services exists. Certain service programs may require a specific medical diagnosis, a consumer co-pay for the provision of services or the willingness to self-pay. Pensacola, Fla. – April 17, 2017 – Attorney and community advocate Fred Levin is investing $550,000 in the University of West Florida to establish the Reubin O’D. Askew Institute for Multidisciplinary Studies. The gift will also help the University purchase land to house the Institute. The Institute will substantially further UWF’s leadership in STEAM initiatives – combined applications of science, technology, engineering, art and math. Activities within the Institute will include increased visibility of potential STEAM initiatives, partnerships with area schools and businesses, internships and research opportunities. In addition, the Institute has the flexibility of supporting numerous opportunities for integrating humanities and social science disciplines toward solving community problems. It will draw on existing strengths of the University to inspire relevant research. Reubin O’D. Askew was an American politician who served as the 37th governor of the state of Florida from 1971 to 1979. In 1974, he became the first governor in Florida history to be elected to a second consecutive four-year term. During his two terms as governor, Askew was primarily involved in tax reform, especially in the increase of homestead exemption and passage of the “Sunshine Amendment,” which called for full financial disclosure by public officials and candidates. In 1955, David Levin, Fred’s deceased older brother, and Askew founded the law firm of Levin & Askew. In 1961, Fred Levin joined the firm. More than 20 years ago, Levin gifted an endowed professorship at UWF in honor of his father, Abe Levin, which is now worth more than $400,000. With the establishment of the Institute, this professorship will be directly associated with the Institute and will be dedicated to arranging visiting scientists, writers and creatives to enhance intellectual capital. The endowed professorship, his recent gift of $100,000 to support UWF Football and the $550,000 contribution to establish the Askew Institute total more than $1 million in giving. Among his accomplishments, Levin was named The Trial Lawyer of the Year by the National Trial Lawyers for 2015. He was also inducted into the Trial Lawyers Hall of Fame in 2009, which is located at Temple Law School in Philadelphia. Other honors include receiving the Perry Nichols Award in 1994, which is the highest honor bestowed by the Florida Justice Association and is given in recognition for a person’s lifetime achievements in the pursuit of justice. Levin’s tremendous professional success has enabled him to donate generously in support of higher education. In 1999, he donated $10 million to the University of Florida for the renaming of the Fredric G. Levin College of Law. For additional information about the University of West Florida, visit uwf.edu. Handcrafted leather bags, luggage, and accessories. Colorful Voices. Where DORMANT & DOUBTFUL becomes DONE!! Colorful Voices is fully committed to personal and professional development of those seeking an opportunity to succeed. I’m Timothy M Jones, founder of Colorful Voices. At Colorful Voices, we recognize that the number one issue facing our service personnel whom have been sexually assaulted, is Trust. We have created educational training programming built from the inside out for victims and victim advocates. Our training’s assist victims and advocates in understanding the stigmas associated with sexual assault. At Colorful Voices, we believe that, where colorful voices lay dormant and doubtful, with hope, healing, and action those voices and dreams become ignited. As a male survivor of military sexual trauma, Timothy experienced several traumatic events that would impact his life for twenty years. Now thriver, we feel it is important that we take the lessons learned and assist others in understanding that sexual assault is not just a female issue… it is an issue that affects us ALL. Through our programs, we empower healing by restoring trust lost through this traumatic event. Our goal is to reignite the voices of our clients to aide them in their journey. We are currently seeking speaking and/or training opportunities to engage and assist in helping to end the stigmas associated with military sexual trauma. I look forward to sharing our ideas so that we may further discuss opportunities to collaborate. Pig Naughty Barbecue Sauces is a purveyor of fine barbecue sauces. Barbecue is our birthright and heritage, and our sauces are an extension of generations of Terry’s smoking meat to feed their growing families in rural North Alabama and the panhandle of Florida. When we started making sauce my wife and two kids would crowd around the kitchen in aprons with spoons out stretched to taste and critique the latest batch. Once my entire family approved, I knew we were onto something special. That’s why the heart of Pig Naughty Sauces is family, and family comes in all iterations, of course. Our food and sauces have been shared with church members, local schools, and the people we work with. Because my family, like yours, is a diverse crowd with talents and interests that cover a broad spectrum, but one thing we all agree on is eating good food and letting our hair down every once in awhile. Our goal is to provide you with time tested and family approved barbecue sauces to elevate your barbecue to the next level. Whether you do your cooking in the backyard or on a competition BBQ rig, we know that Pig Naughty Sauces is the secret weapon you’ve been looking for. From the entire Terry Family, Smoke On! SPECIFIC KNOWLEDGE-Our law firms have experience in a wide range of fields, so you can get assistance specific to your situation. HERE FOR YOU-Our provider law firms are always ready to help you. If you have a covered emergency, contact us any time 24/7/365. Experienced National Training Director with a demonstrated history of working in the professional training & coaching industry. Skilled in Management, Church Growth, Strategic Leadership, Business Relationship Management, and Risk Management. Strong human resources professional graduated from Troy University. Ronald McKinney grew up in a military family that settled on the Gulf Coast when he was in middle school. After Attending Florida State and the University of West Florida, Ronald settled in Pensacola with his wife and their 3 children. Besides being a licensed FL Realtor, Ronald became an affiliate with United Games, the creator of the FireFan app, and built a team of individuals and businesses that would become the Better Reality Sports Group. With a focus on creative marketing, networking, and community involvement; Better Reality Sports Group is preparing to help Non-Profit organizations nationwide meet their fundraising goals using a fun and interactive free mobile game. Ronald’s vision for the group includes strengthening the mutual benefits between local organizations both for and non-profit. Steven’s Animals Fund, Inc. programs will be low/no cost spay or neuter, trap neuter return TNR, foster care, community education. Steven’s Animals Fund, Inc. is a State of Florida Non-Profit Organization applying for Recognition of Exemption under Section 501 (c) (3) under Internal Revenue Code. Copyright Patricia Krakowski. All Rights Reserved. We are dedicated to appreciate all life, with a focus on the animals that come into our lives and live in our communities. We firmly believe animals have value, importance and a deeper purpose for human beings. They enhance our experience and appreciation for life and provide us with the greatest gift of all, unconditional love. It is our responsibility to love and care for them in return. Steven’s Animals Fund, Inc. is a State of Florida Non­Profit Corporation that is recognized under Section 501 (c) (3) of the Internal Revenue Code. We’ve set a bold goal to reduce the annual suicide rate in the U.S. 20 percent by 2025. Suicide most often occurs when stressors exceed the current coping capacity of someone suffering from a mental health condition. We are the leader in the fight against suicide. We fund research, create educational programs, advocate for public policy, and support survivors of suicide loss. Led by CEO Robert Gebbia and headquarted in New York, AFSP has local chapters in all 50 states. Join a quarter of a million people from hundreds of cities across all 50 states to raise awareness and funds that will save lives and bring hope to those affected by suicide. Click below to find your walk and get started today. Digital Marketing Services Specializing in Search Engine Optimization (SEO) Reputation Marketing Services / Facebook Marketing Services and more. 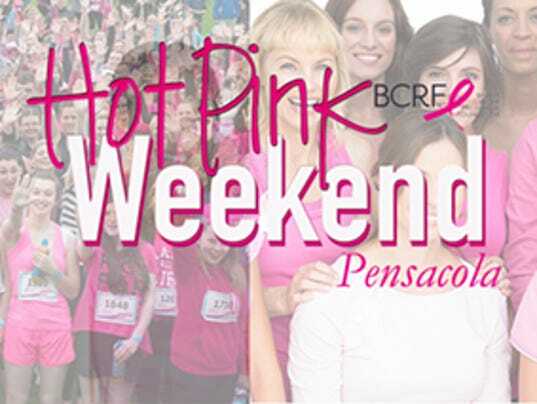 Our goal in the Pensacola area is to create a fantastic fundraiser to raise money to help provide research locally in our area. The mission of the BCRF is to achieve prevention and a cure for breast cancer in our lifetime by providing critical funding for innovative clinical and translational research at leading medical centers worldwide, and increasing public awareness about good breast health. Currently, 91 cents of every dollar spent by BCRF is directed towards breast cancer research and awareness programs. The ONE promotes ALL networking and does not restrict members to the ONE and truly believes the more you network, the more you grow! MODE Mind and Body is the result of having internet access and desire to do something awesome for our community. What began as an obsession with sensory deprivation evolved into a deeper understanding of how stress effects us and the people around us. What we’ve created for you is a place to powerfully relieve chronic stress and improve all aspects of your life, from health to relationships. Our team is ready to share what we’ve learned and help you reach the next level!. We are obsessed with bringing you the most effective wellness technologies around so you can adapt to the demands of modern life without slowing down.